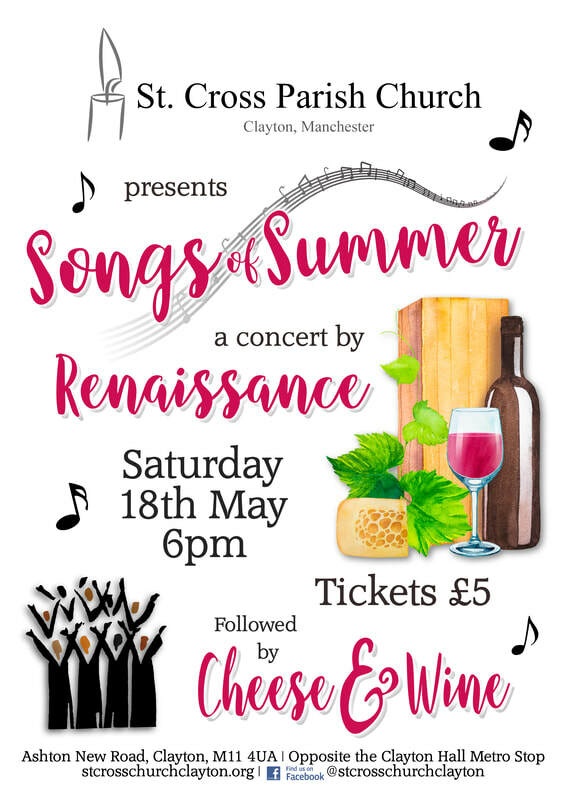 We're delighted to be welcoming back regular guests Renaissance on Saturday 18th May for an evening of music with their Songs for Summer concert followed by Cheese & Wine in the Church Centre! Their concerts are always a treat so do come along! Tickets are £5 and available to purchase in church between now and the event or on the door on the day.